Zephorium creates the various tonics by carefully blending aromatherapy oils of the highest quality, sourced only from ethical companies. 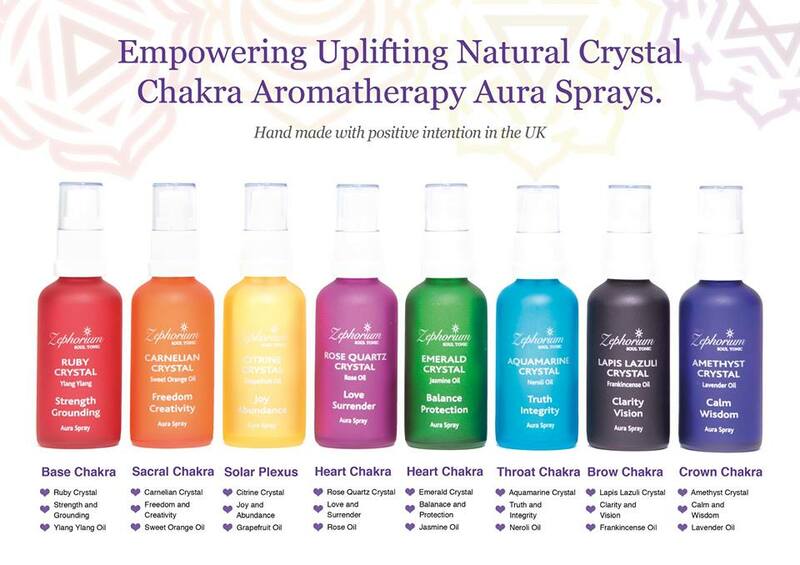 Each tonic is available in 8 fabulous colourways with scents designed to complement the chakras. Containing only the purest ingredients, the signature fragrances are infused with homeopathic crystal energy and come complete with a powerful affirmation. Special offers and discounts on Zephorium Soul Tonics are sent out via our newsletter. Sign up to receive these special offers.